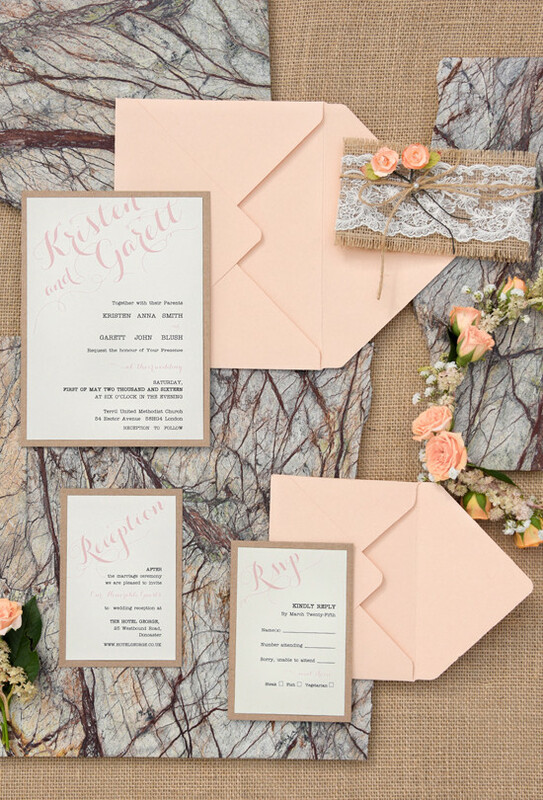 You haven't announced your wedding theme yet, but you know that you want a peach rustic wedding. Lucky enough for you, we're highlighting the absolute prettiest peach wedding ideas right here, right now. The first thing we need to check off of our to-do-list is the wedding stationery. 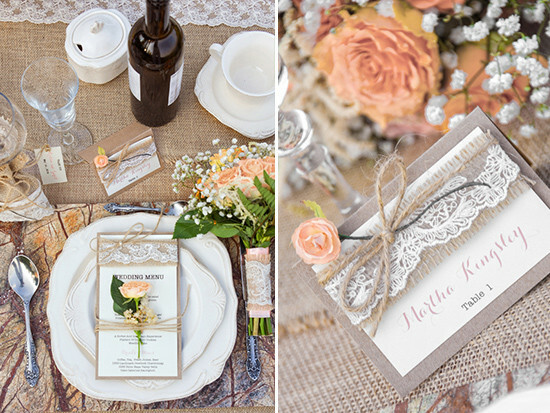 For a rustic refined look, the the invites above from For Love Polka Dots would be an ideal choice. Of course, they come in multiple color options. 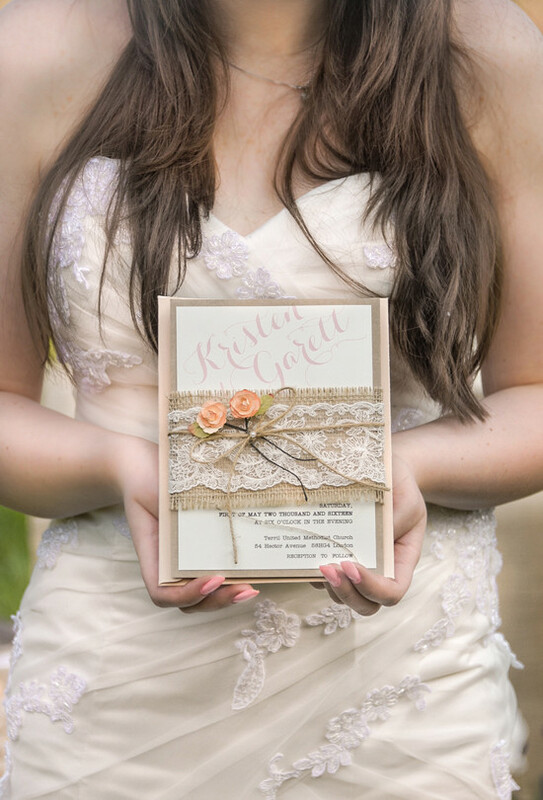 Now that we have the invites settled, we want to show you the he perfect wedding gown for your peach rustic wedding. A peach sherbet tulle bridal ball gown from Sareh Nouri. Simple and elegant. This wedding gown most definitely meshes with your rustic wedding theme. 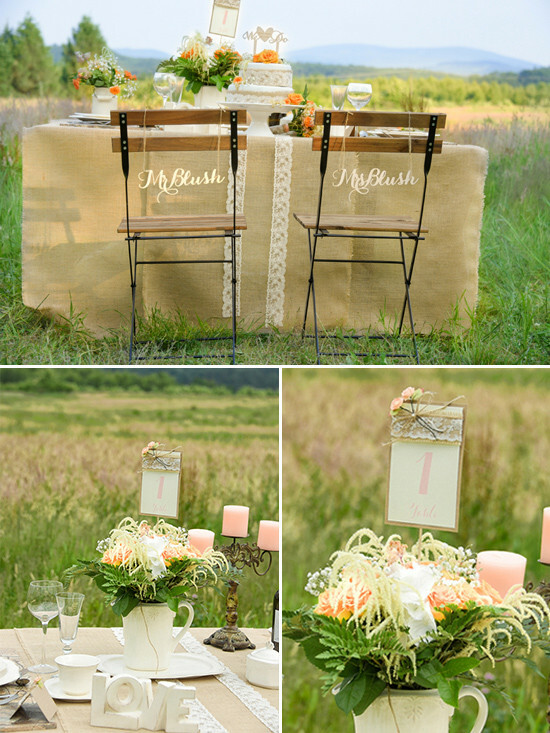 Now, keep scrolling for more peach rustic wedding ideas. 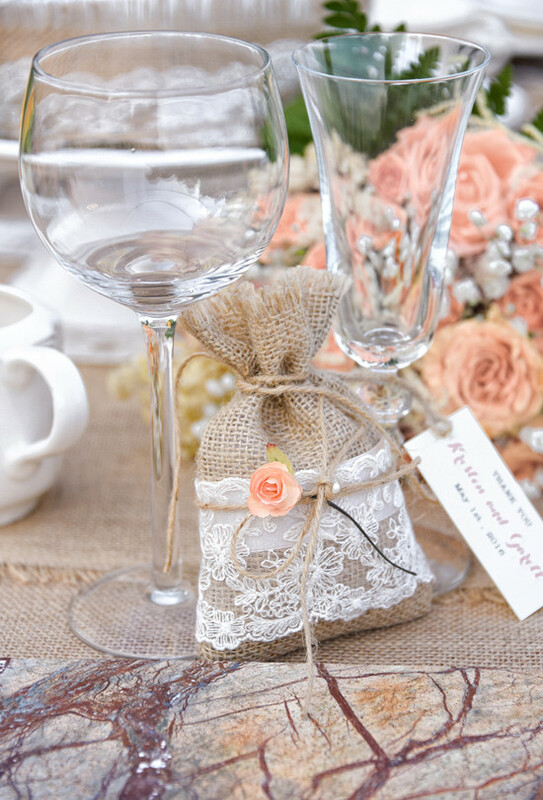 You will need plenty of burlap to complete your rustic peach rustic wedding. Thank goodness you can get 5 yards of burlap for $10. It will come in handy for covering your tables, tying bows on your ceremony chairs and wrapping your bouquets. Honestly there are so many ways to use this rustic wedding staple. To accompany this rustic theme you can order rustic table numbers like the ones above. We mustn't forget about your bridesmaids. 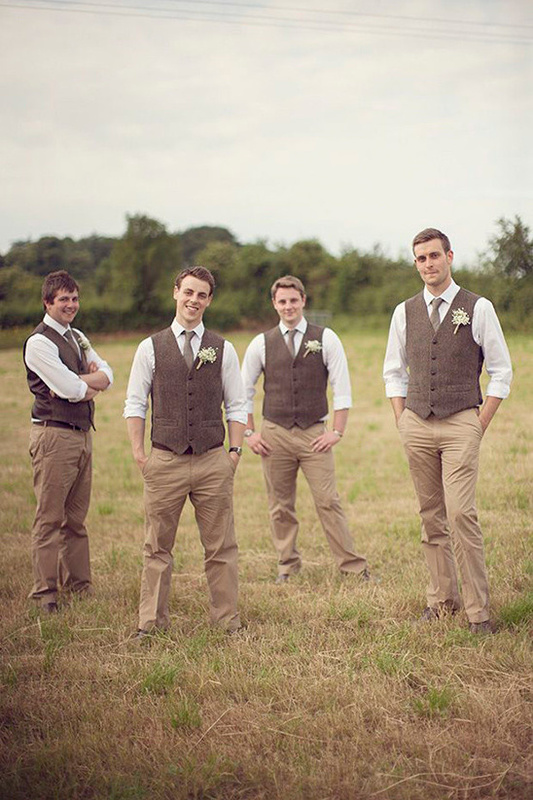 Not only do you want them to feel special, it is also important to complement your wedding gown. Since you are wearing a soft peach, we would suggest opting for brighter colored bridesmaid dresses, just like the ones above. You can buy a similar dress from Dessy here. Photographed by Jennefer Wilson. Those wedding rings are so precious, and obviously they must be handled with care! 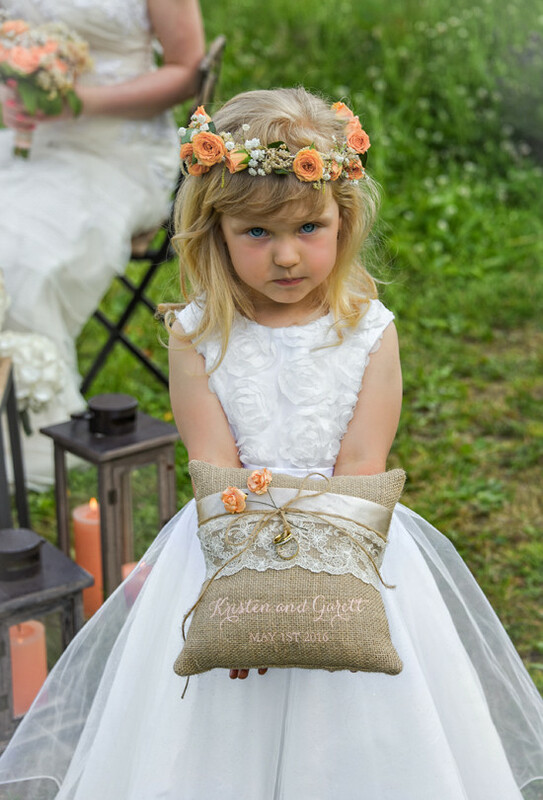 It seems only appropriate that that they be carried on a burlap and lace pillow for your rustic wedding, just like the one above. 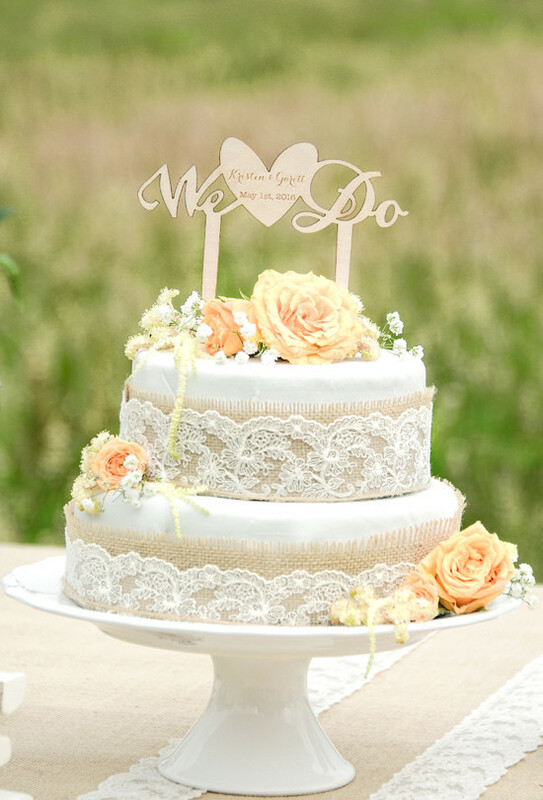 To finish off your wedding theme properly, naturally you will need a burlap and lace wedding cake topped with a custom cake topper. 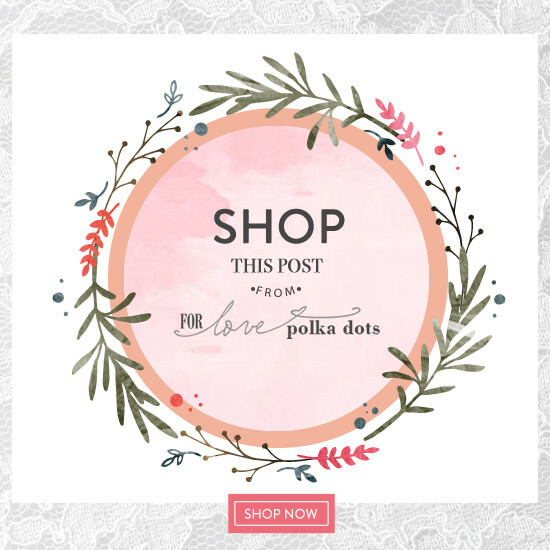 All the decor details and stationery from this post are brought to you from For Love Polka Dots. You can shop the entire post here. See all the images up close in the full gallery here.